Welcome to Aria Kat Art! Belizean artists from the Belize Cayes and the mainland. Our focus is to bring color in people’s lives and we always keep the gallery as colorful as possible stocked with many colorful Caribbean paintings and images. To add more color, we offer unique women's clothing and a coffee bar at our new location! Aria Kat Art is located at the end of Front Street at The Split, at the famous Land of the Lazy Lizard. 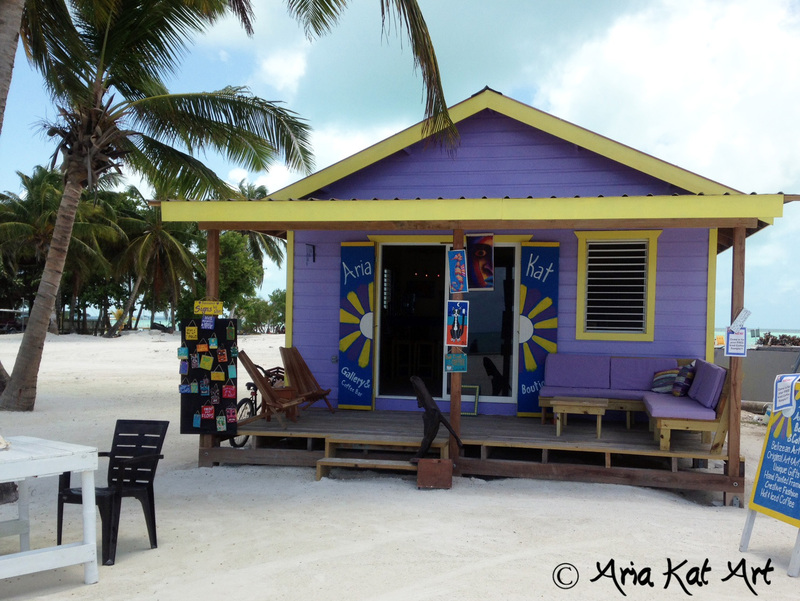 Come in and say hi if you are in Caye Caulker! Even if no vacation is in sight and you want some color in your house or your place of work we can help you! Just contact us and we’d be happy to ship whatever painting or art print caught your attention. Feel free to browse through our online galleries and contact us with any questions or comments!